When you’re a lazy and poor student living in the Netherlands, you might be in search of refreshing dessert alternatives apart from yoghurt, vla (custard dessert) and rijst pap (rice pudding). 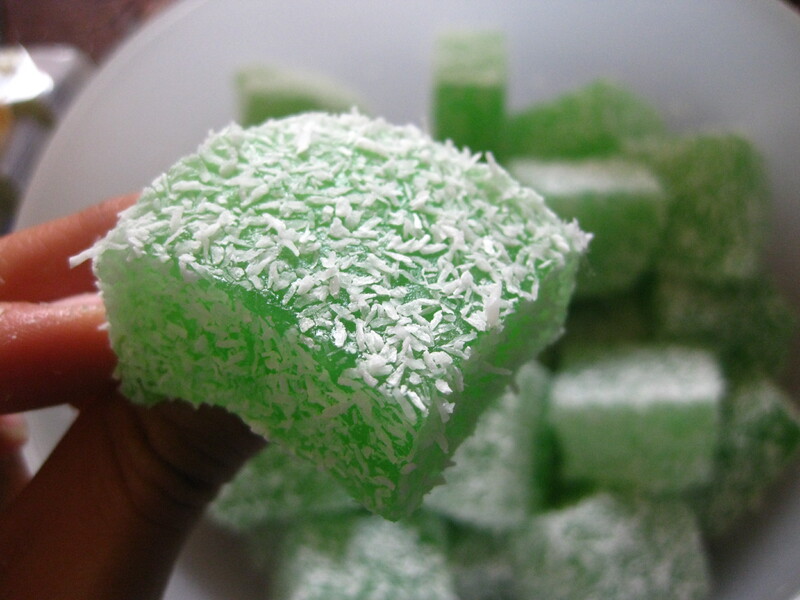 The solution to this is simple — that is, to look eastwards and then southwards, where warmer climates and more recently developed countries mean that sweets that are brought to the table are often simple, cheap and refreshing. If I were to always get my way, I’d say that fresh fruits would be sufficient to end the meal. 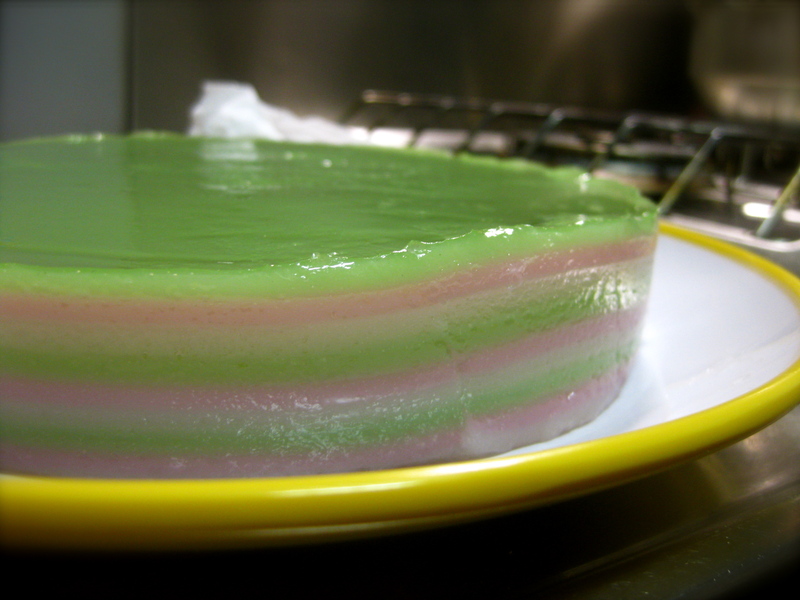 But once, it seemed that my nicely cut apples weren’t too well-received as a dessert for a dinner gathering 😛 So this time, when I got my hands on some really sweet honeydew melon from the farmer’s market, I made some into lazy honeydew dessert! 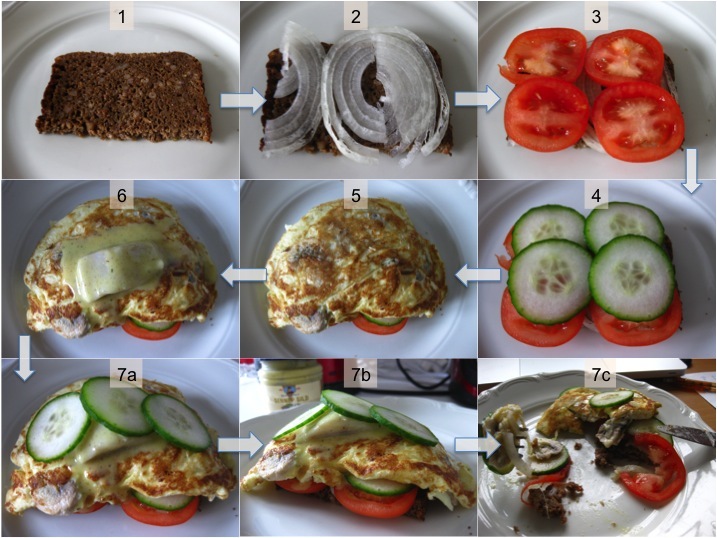 Hmm, so lazy that I didn’t even bother to measure my ingredients nor take the time to make a proper photo of it. But anyway, here it is. 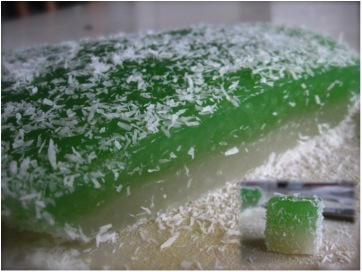 A lazy alternative for non-yoghurt, non-vla, non-rijstpap dessert in a student dormitory dinner. Boil sago in 1L of water. When sago turns translucent, pour into sieve / strainer and wash away excess starch with cold water. 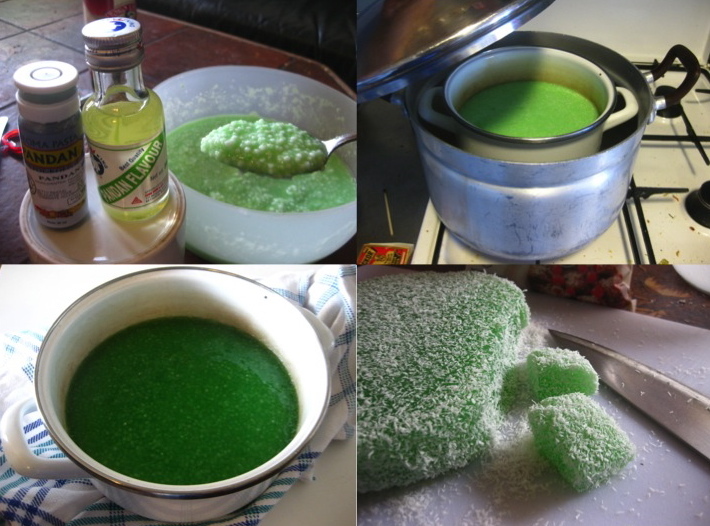 Dissolve sugar in warm water to make a sugar syrup (I used the microwave). 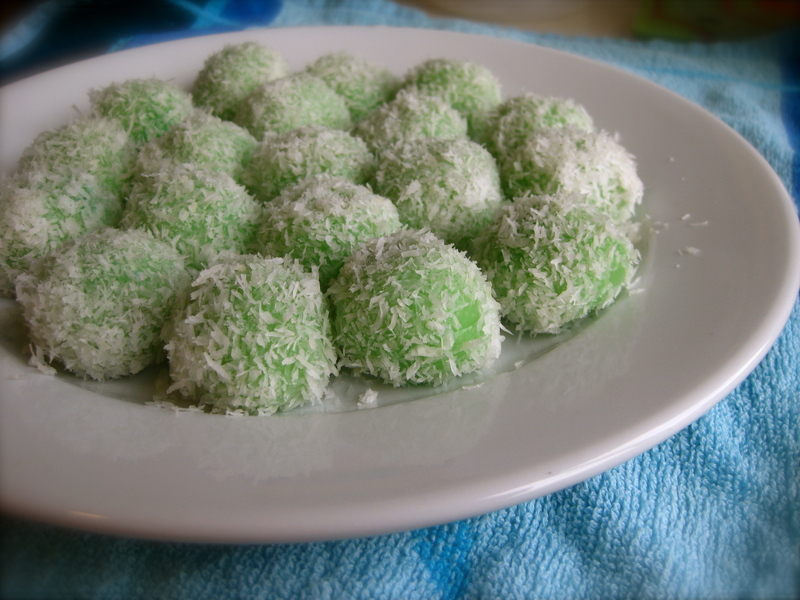 Add syrup to coconut milk until desired sweetness is attained. 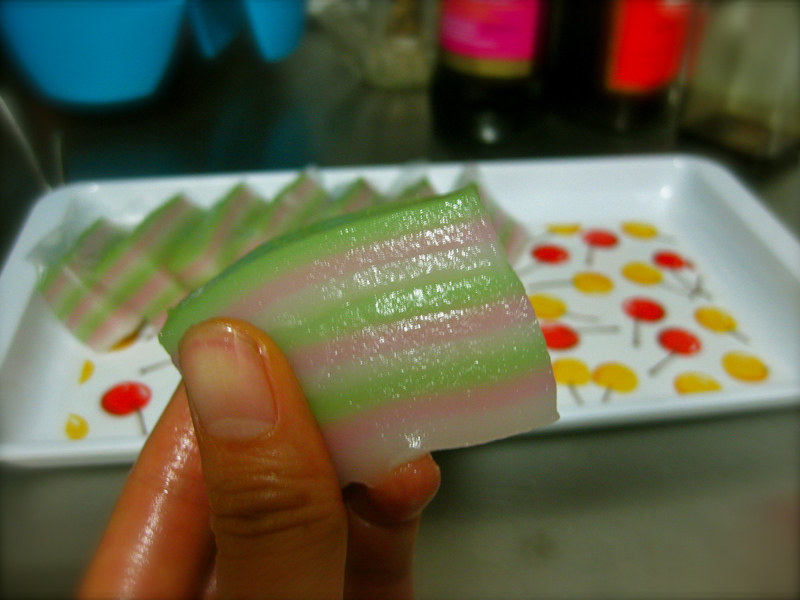 Cut honeydew melon into small pieces. 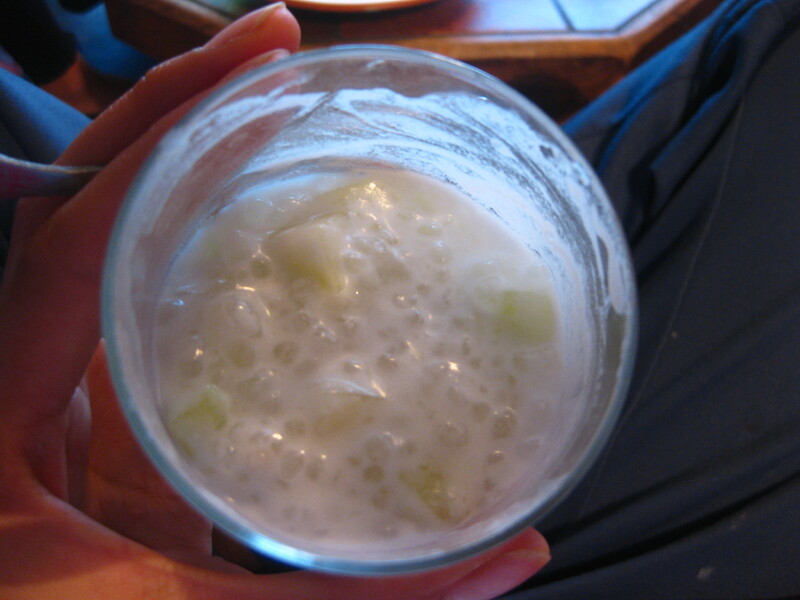 To serve, spoon some sago and honeydew into a bowl, top over with sweetened coconut milk and add some ice. 🙂 That’s it! My dear readers, apologies for my long hiatus from blogging. I’m now back in the Netherlands, once again living within one of the most neophobic cultures in the world. 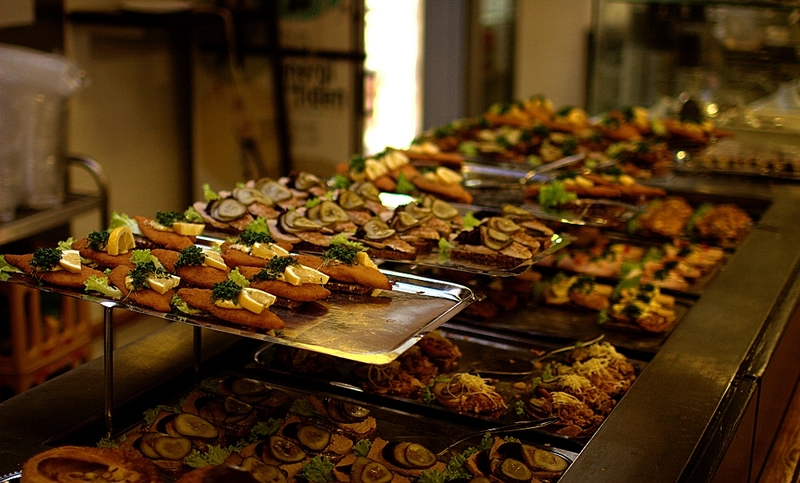 The Dutch have a saying that goes: Wat de boer niet kent dat eet hij niet, often used in excuse of their reluctance to allow unknown foods on their palate or even their plate. It happens to be the only Dutch saying that I know, as ever so often when I prepare something unusual from Southeast Asia, it would be met with equal reactions of delightful curiosity and of politely watered-down gag reflexes, AND a proclamation of this saying. Surprisingly though, with this return to Wageningen, the friends seem to be a lot more fearless, unquestioning, and willing to ingest some foreign objects laid on the table by yours truly. Perhaps, by now they have been positively conditioned to know that poorskinnychef here loves them and loves food and will not poison them with ingredients laboriously lugged 10,000km across the globe? While being home this summer, I had a fair dose of this wonder of traditional Chinese preservations. 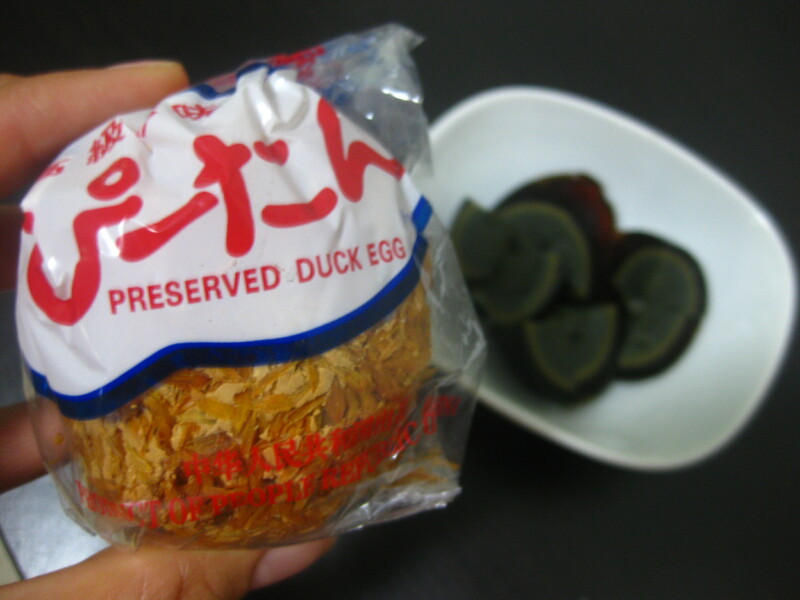 The century egg or 皮蛋 (leather egg, in reference to its leathery texture of the brown jelly that was once the white) is made by preserving eggs in a mixture of clay, ash, salt, calcium oxide (alkaline ingredient), coated in rice husks, and left to be transformed over the next several weeks to months. 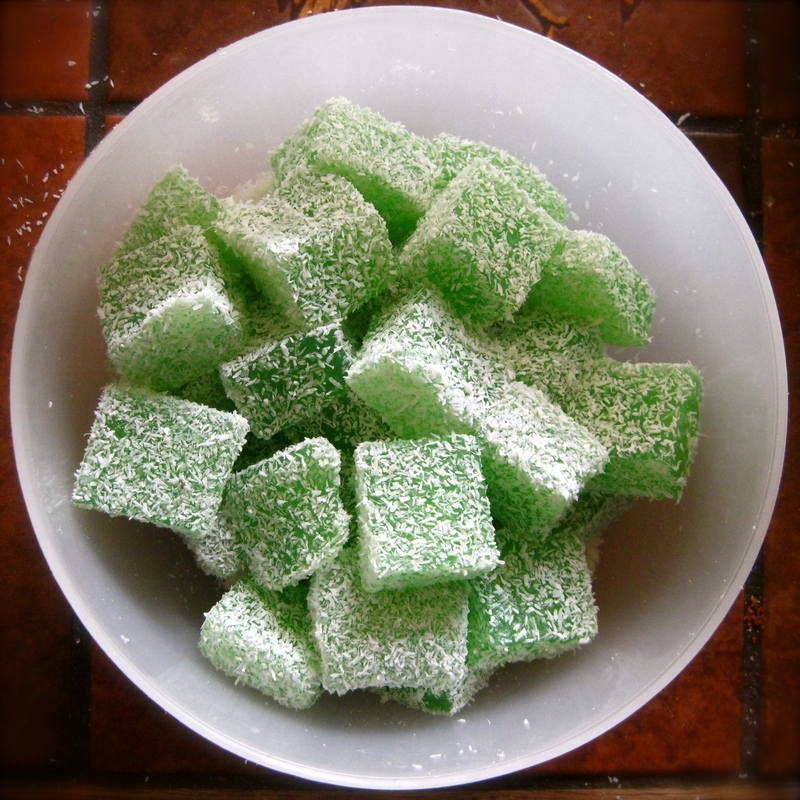 2. broken down proteins and fats to produce a sweetish ammonia flavour and other flavourful compounds (MMM!) that give this egg so much more character than a ‘normal’ one. 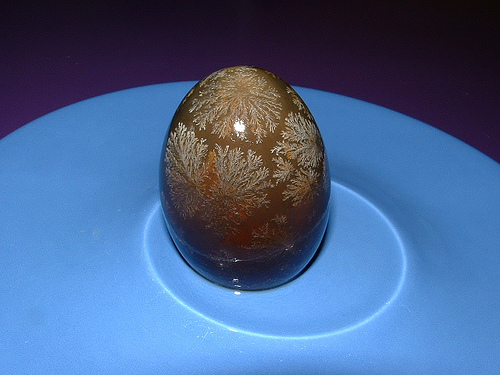 3. clear gelled egg ‘white’ probably due to the breakdown of proteins that result in a more open gel that forms in comparison with a heat-coagulated opaque egg white. just my hypothesis. 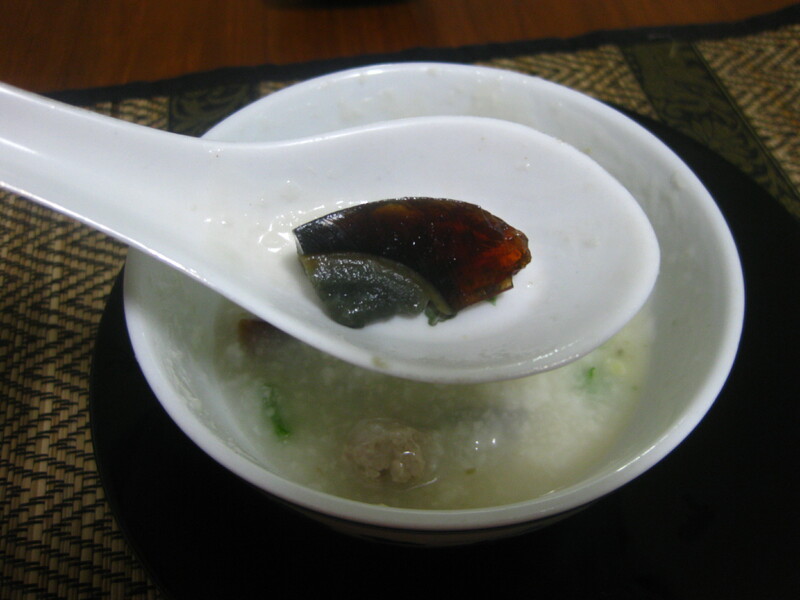 My favourite way of eating the century egg is in Century Egg and Minced Pork Congee, because the flavour of the egg compliments the rice porridge deliciously well, sending a warm and wonderful sensation through my entire body 🙂 It’s the ultimate comfort food, the ultimate winter food, the ultimate homesickness food. Stir fry minced pork in pot (enough fat in the meat to not have to grease pan), and set aside when cooked. Add chicken stock cube to taste (depends on how salty you like your congee!). Add more water to the desired consistency. 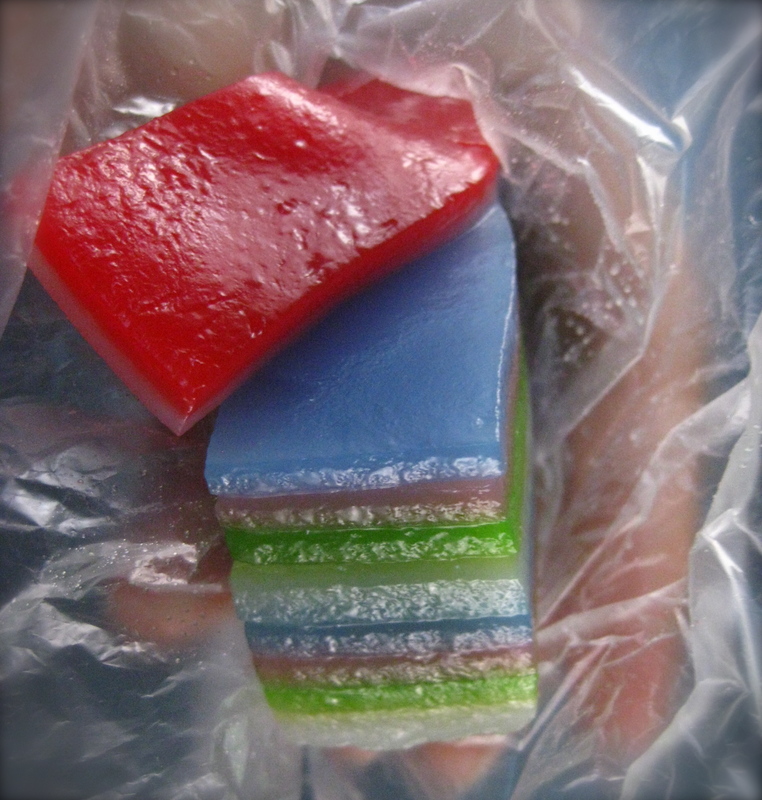 Remove ginger slice, mix in minced pork and century egg sliced into small wedges / cubes. Top with a sprinkle of soya sauce, sesame oil, pepper, spring onions, fried shallots… and tuck in! But of course, you wouldn’t have to spend a whole hour at the stove stirring the magic pot to enjoy the egg as here’s a couple other alternatives that are just as awesome. That was too simple, wasn’t it? Here’s another delicious one. Slice silken tofu into 1cm slices. 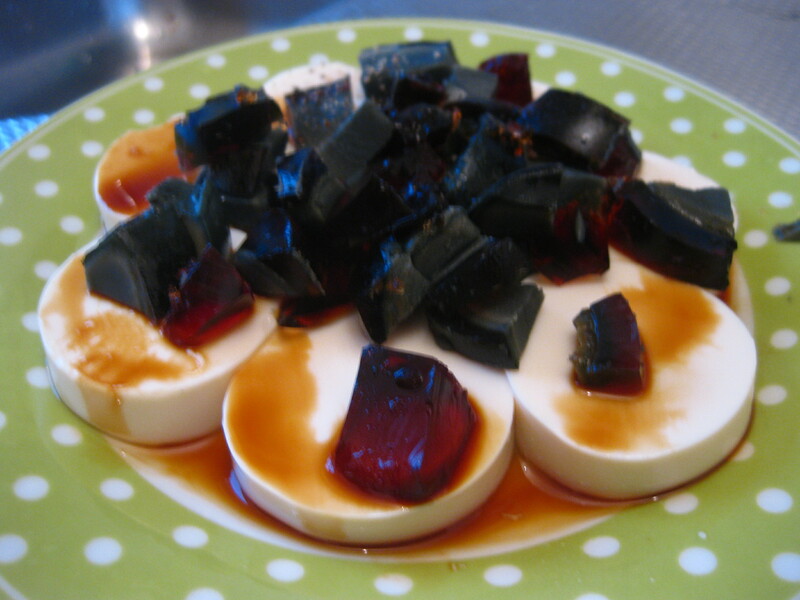 Chop up century egg into cubes of half cm dimensions (or bigger or smaller, it’s up to you) and sprinkle on top of the tofu. Sprinkle soya sauce over the dish. 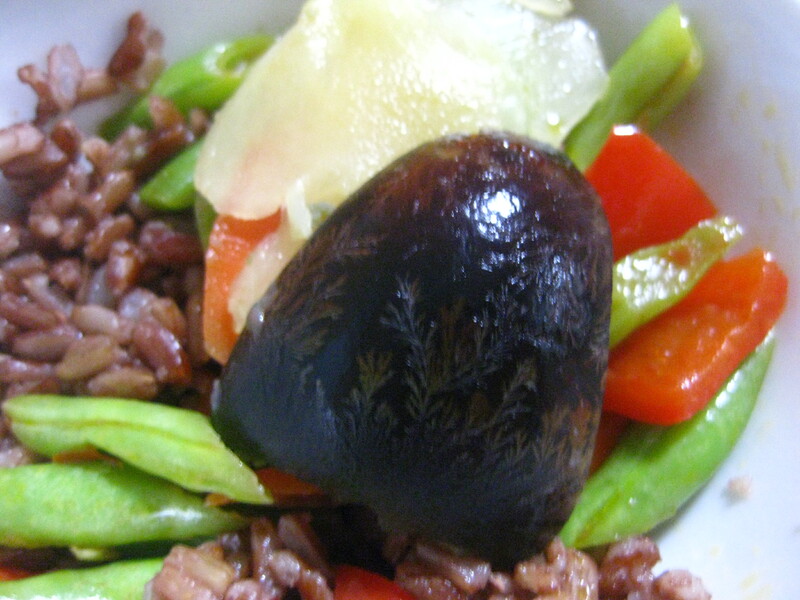 Interestingly, an alternative Chinese name for this egg is the ‘松花蛋’ or ‘Pine-patterned egg’ — Why interesting? Because I have just started my research project on the Pine Nut Syndrome and I’m currently (and desperately) collecting reports and samples from the public regarding pine nuts that have caused their taste disturbance that is described as : an offending bitter metallic aftertaste in the mouth upon consumption of any food, and these symptoms show itself 1-2 days after ingesting the pine nuts, and lasts for 1-2 weeks. Please contact me at pinenutsyndrome@gmail.com if you have a recent experience of this! One question that I’ve constantly been asked by my classmates is that IF I don’t eat bread or muesli for breakfast, then what is it that I eat?? Well, I can’t possibly expect people who have been eating bread for centuries and muesli for decades to make any sense of tau sar pau, roti prata, char kway, tau hway, chwee kueh, png kueh, you tiao, hum chee peng, chut bee png, can I? Explaining myself is always synonymous to ramming my head against a wall. Each time, it is a look of polite confusion or mock disgust at how I could eat sweet / salty / hot / spicy / funny coloured stuff for my breakfast. So most of the time, I just say I eat ‘rice, sticky rice and soy products’ or if I’m in a lazy or not-too-good mood, I say ‘I eat bread, cheese and spreads like you do, and a lot of other things too‘… and most often people are satisfied with the first half of my comment. After my first long night of jetlagged sleeplessness, it was wonderful to wake up to one of my favourite breakfast foods that mom had bought from the supermarket (SGD$2.30/1.20 euro for 4 rolls – serving size 1-2 rolls). 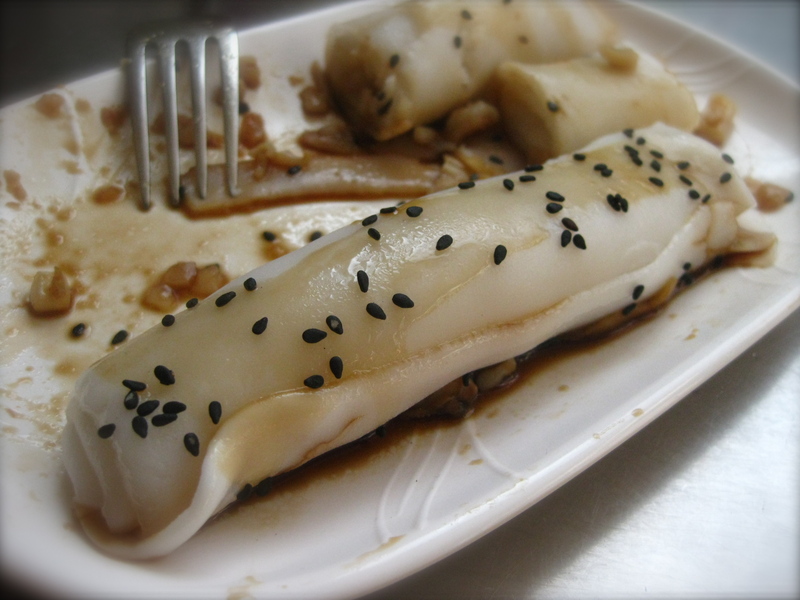 Chee Cheong Fun (dialect) or zhu chang fen (mandarin) literally means pig intestines noodles. It’s actually rice noodle rolls made of rice flour, water and a little oil that is steamed in thin sheets and rolled up in such a way that it resembles pig intestines. 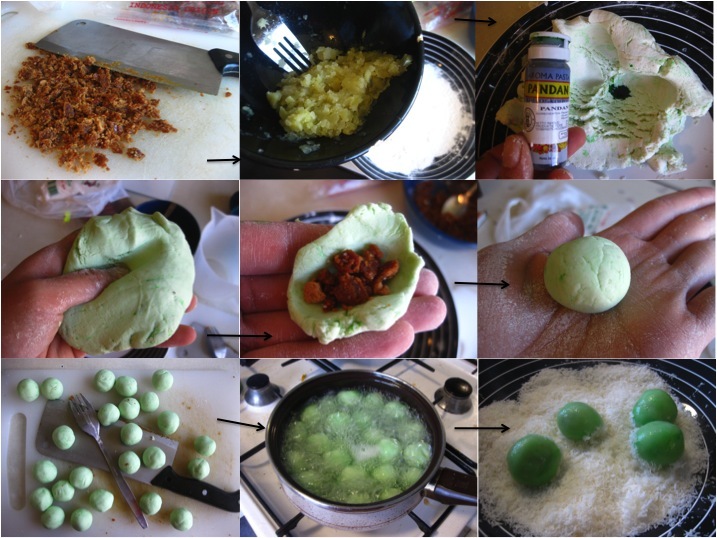 Most of the time it has little bits of mushrooms / shrimp / chicken / pork rolled in between the sheets, but mine was with a little bit of spring onions. 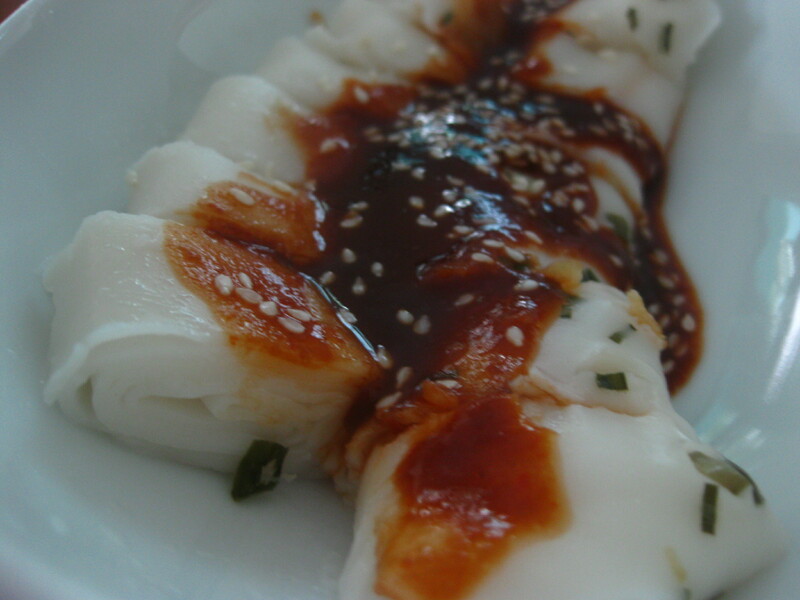 It has the texture of very smooth rice noodle sheets, eaten warm with a generous scoop of sweet soya sauce and chilli sauce, and a sprinkle of sesame oil and sesame seeds. Great way to start the day! I’ve also just found out that it’s possible to make it in a microwave too! 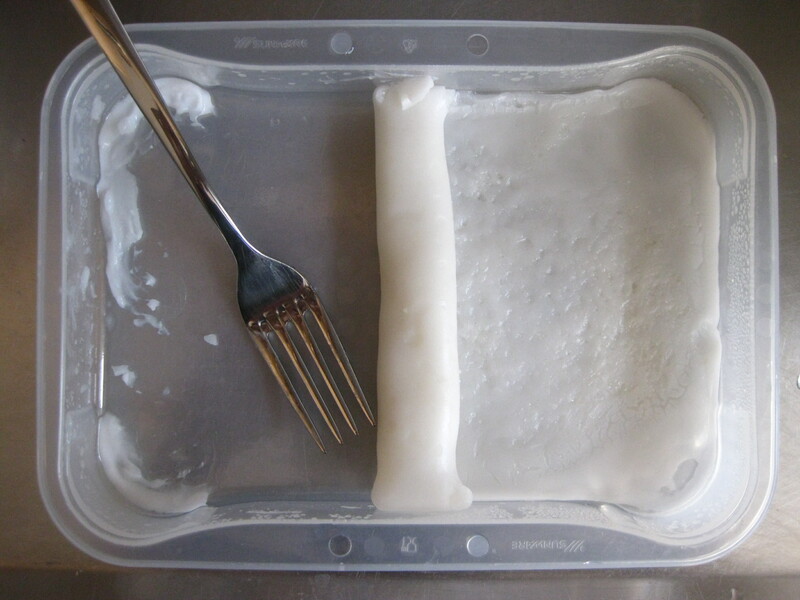 Pour a thin layer (about 1-2mm) into a microwave-safe flat container. Microwave on high for 2 min until just set. Sprinkle your desired chopped up filling and roll up. Repeat steps 2-4 until you’ve used up all the batter. Serve with a sprinkle of soya sauce, chilli sauce and sesame oil! Update: Upon meeting another foodie Singaporean, K, here in Wageningen, we decided to put Chee Cheong Fun to action after raving about how much we miss it when we’re away from home 🙂 Hereby delighted to declare that this recipe is awesomely SIMPLE and DELICIOUS. 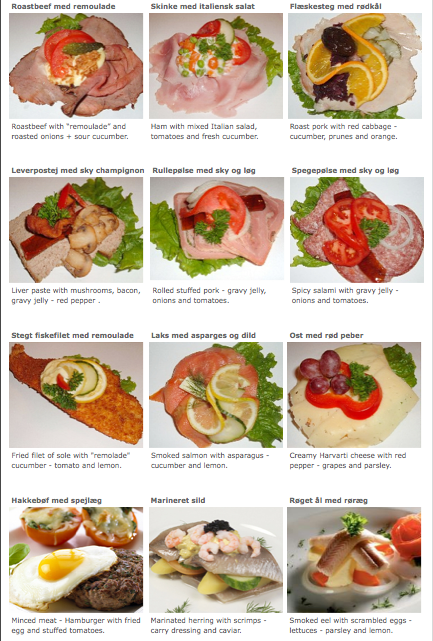 Because it tastes so good when it’s warm, we could barely resist gobbling it before the proper photos were taken! My recent interest in steaming has escalated into a full-blown obsession with steamed cakes. Yes, steamed cakes! 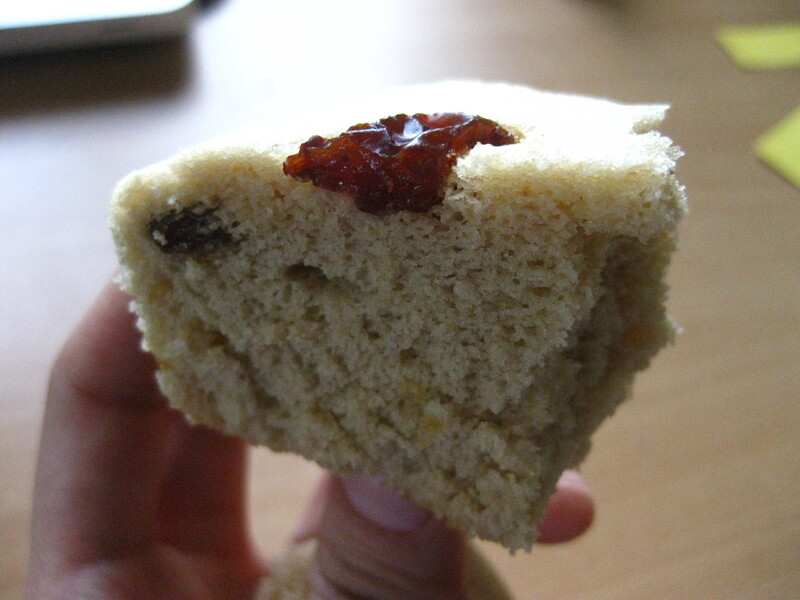 Soft fluffy and moist sponge cakes in 30min or less! 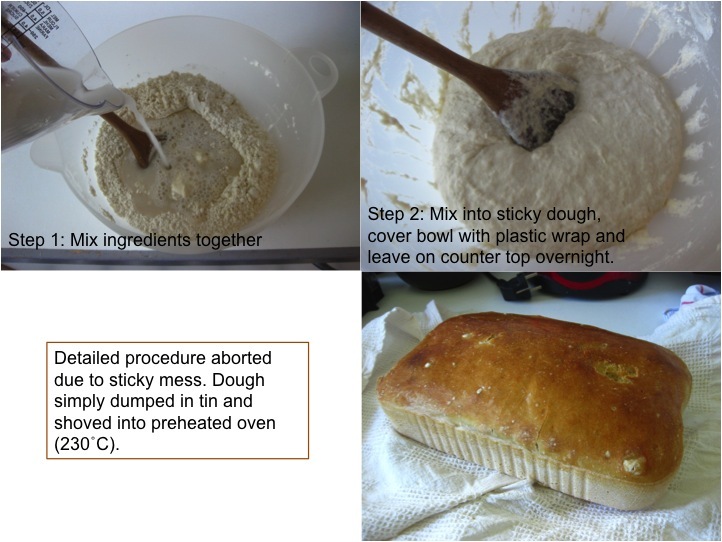 …no more long lists of ingredients, nor lengthy energy-consuming pre-heating of oven, nor even a need for sticks of buttery unhealthiness to keep the cake moist… not even a messy cleaning aftermath. 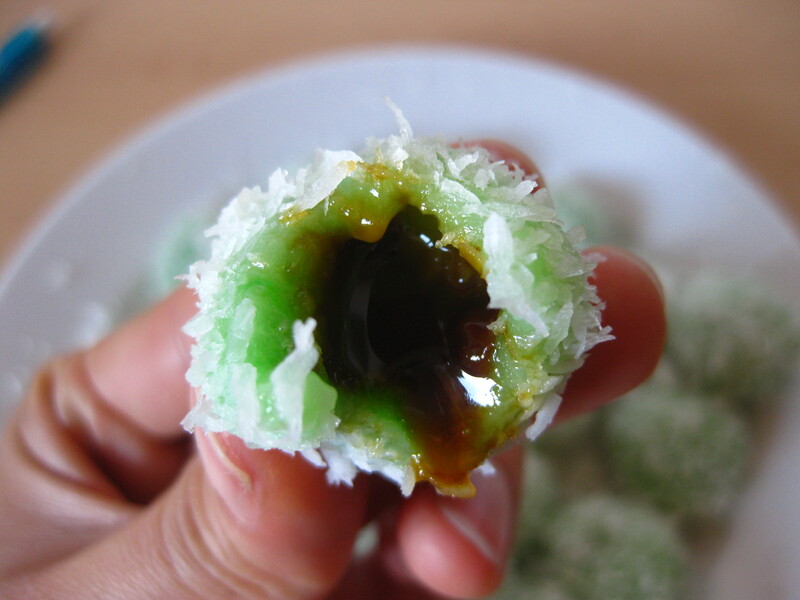 It saves time, it saves energy, it saves money — absolutely PERFECT for a busy and poor student who craves a sweet treat. 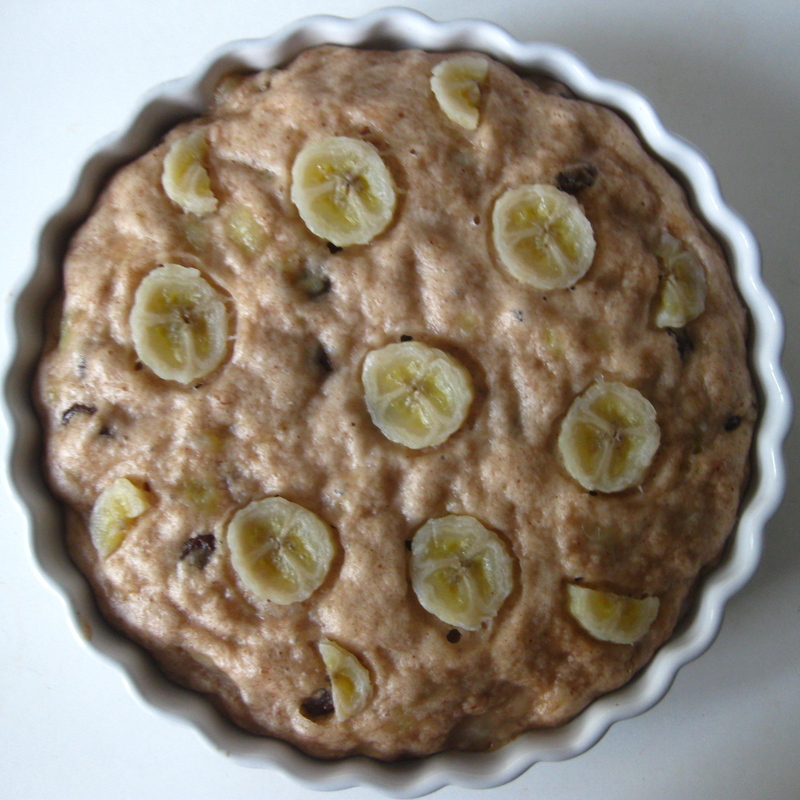 Steaming cake eradicates the problem of tough chewy textures that often plague low fat / fat-free baking. 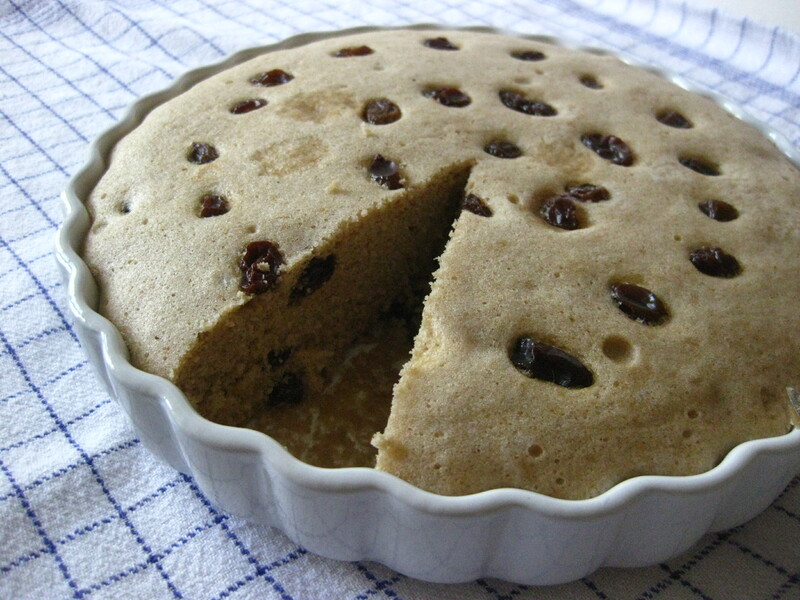 With a little help from baking powder and whisked eggs, cooking the cake in the moist heat of the steamer results in a quick rise and quick set of the sponge cake due to the more effective heat transfer via steam. 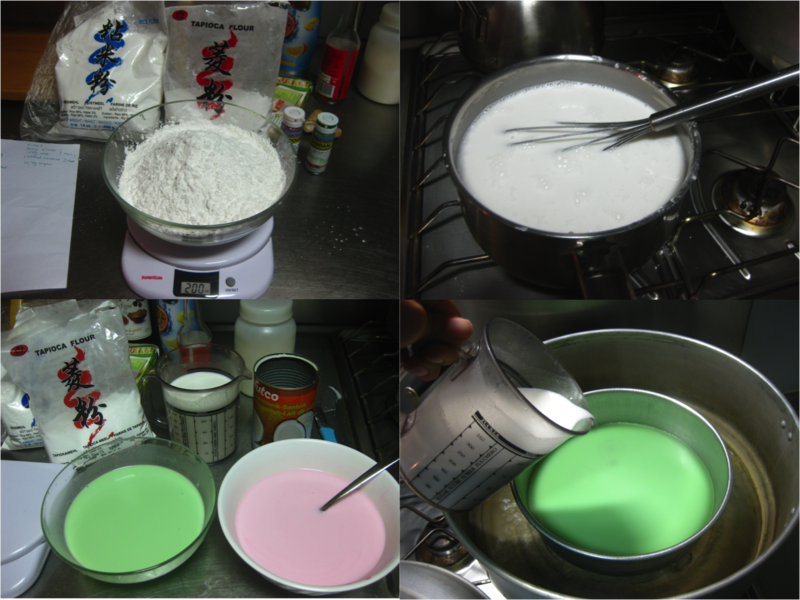 At the same time, the steam keeps the cake from drying out as it would during oven-baking. 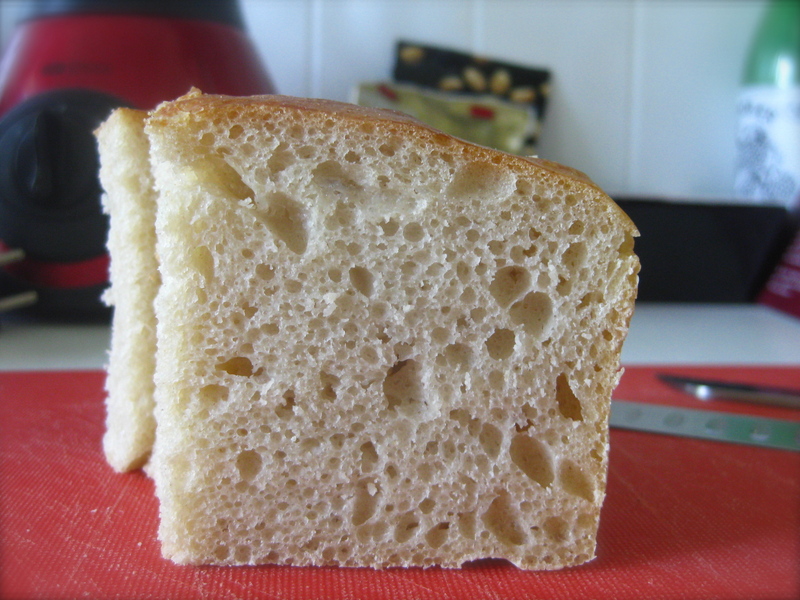 This gives the cake a nice open texture with good moisture retention without having to add a whole lot of empty calories to prevent the flour proteins from forming tight gluten networks that result in a tough final product. 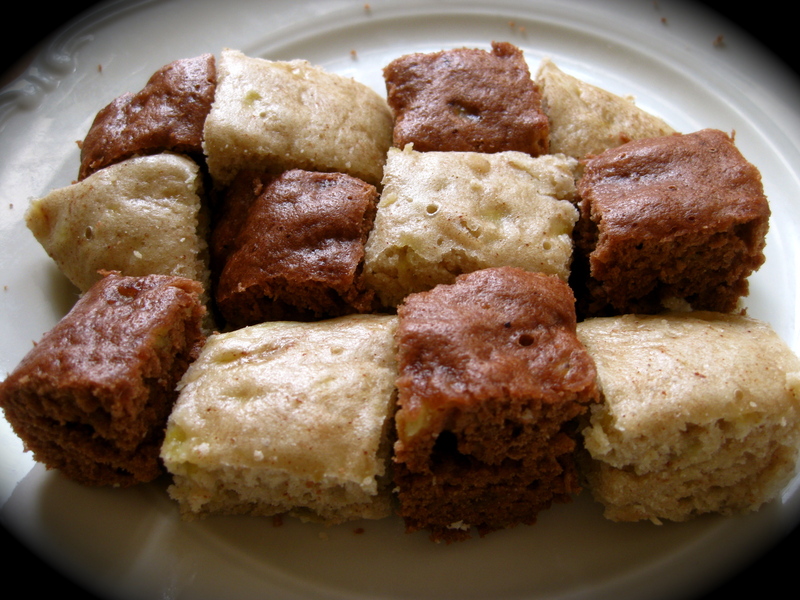 I hereby declare the end of my struggles with fat-replacement in baked muffins and cakes. Heat up the water in your steamer. 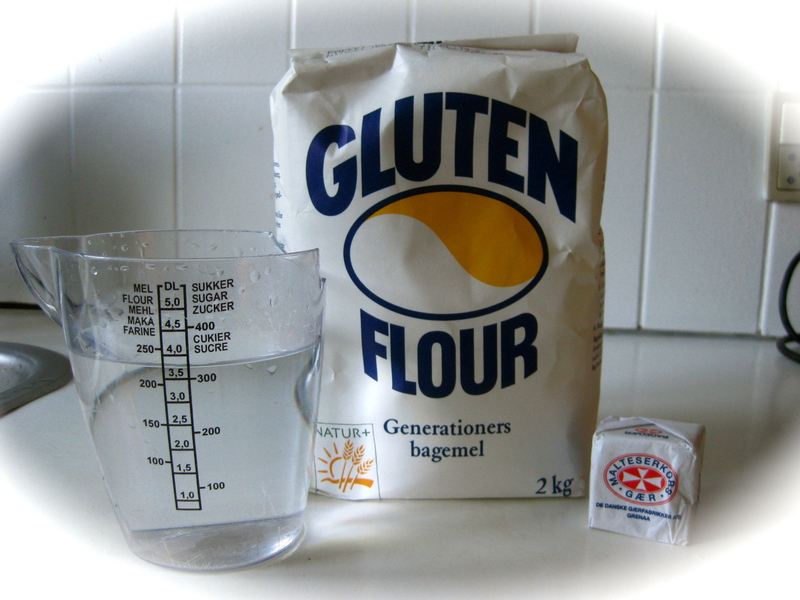 Mix in the yolks and fold in flour and baking powder. 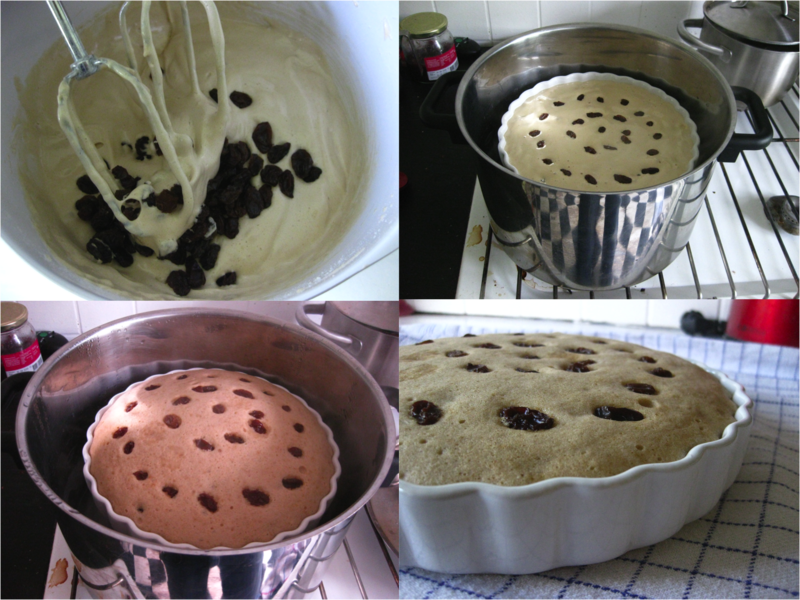 Add in 1 tsp of essence and a large handful of raisins at the end if you’d like.